For our family dinner I made a creamed cucumber salad with a sour cream dressing that everybody loved. 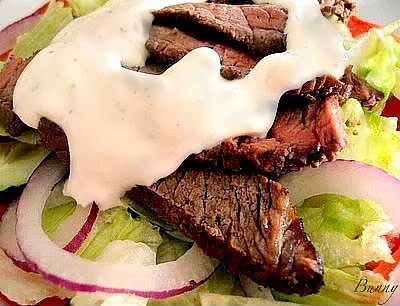 In this part of the country just about every creamed cucumber salad dressing is made with mayonnaise. I was stepping out of my comfort zone making this, didn't know what it was going to taste like....or if anybody would even like it. Fortunately everyone was pleasantly surprised and really enjoyed it. Which got me thinking......To Read More, Click On The Recipe Title. With this base recipe you can add whatever you want. Make this a day ahead and keep in the fridge, it gets better the next day. Next time I'm thinkin a little bit of garlic would be nice .....This is great as a veggie dip as well! It all looks so refreshing!!!! It all looks wonderful. I just love the bright colors in that Asian salad. Nothing more cool refreshing to eat as meal during the summer than salad. It all looks so yummy. That Asian slaw salad is so colorful and beautiful. It is extremely interesting for me to read the article. Thanx for it. I like such topics and everything connected to them. I definitely want to read more soon. i like how ya'll have handled summer's bounty! 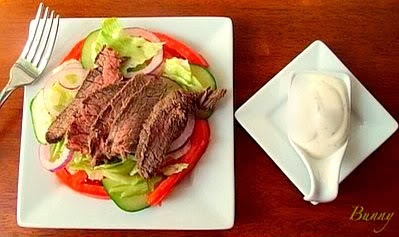 the cukes look refreshing, the slaw is gorgeous, and the beef looks filling yet even a bit light--bravo! Refreshing summer food! Love salads! These are some of my favorite types of salads. Sugar and cider vinegar are perfect on cucumbers. I love Asian-themed slaws too. All of it is perfect summer food. 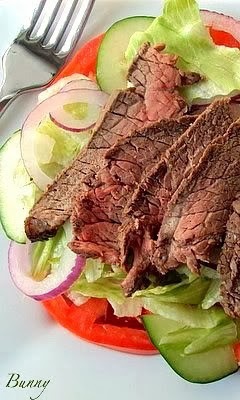 This salad looks wonderful. We love simple foods during the summer. Thank you for celebrating my birthday and sharing this with us during Our Little Family Adventure's Community Party. I hope you'll join us again this week for the party on Facebook. This looks edible right off the page!! Starting with healthful ingredients is the way to go!! Thanks for this one, trying ASAP!